Convenient, easy, and simple – just the way cleaning should be. 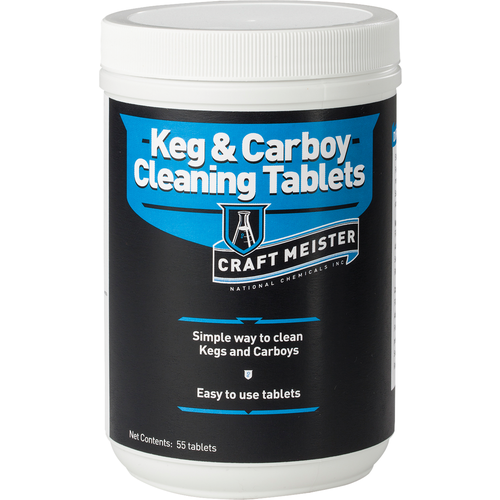 Never guess about how much cleaner you should be using with Craft Meister Keg & Carboy Cleaning Tablets, the easiest way to clean your dirty gear. 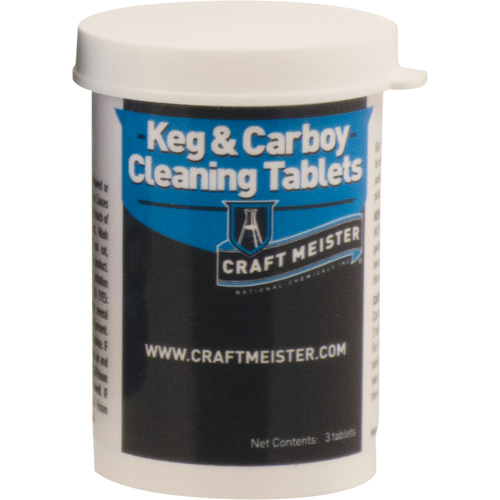 Just fill the dirty keg or carboy with hot water, add Tablets and let them do the work for you! Similar to laundry detergent pods and dishwasher tablets, these handy Tablets are not only easier to use than bulk powder, they may be more cost effective over time by ensuring you use the correct amount of cleaner every time. 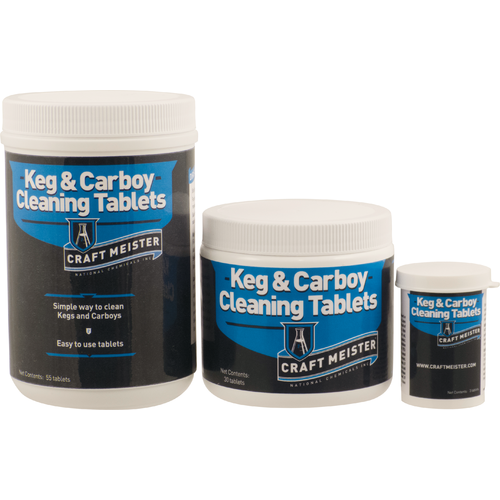 Keg & Carboy Cleaning Tablets are a mix of powerful alkaline and oxygen detergents providing a one-two punch to knock out soils and build-up. Safe for use on glass, plastic, and stainless steel. Stir lightly to dissolve tablets. Use a brush or repeat for stubborn soils. 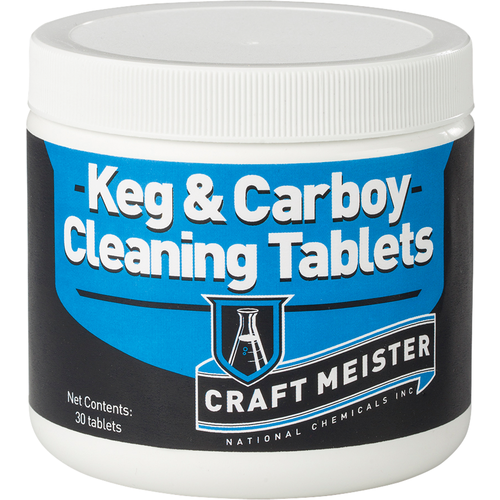 If you are looking for a cleaner that works in cold water, or where you want it to sit overnight, we recomment you check out Craftmeisters Alkaline Brewery Wash.